Last Sunday morning, my husband and I went to the thalasso therapy center La Perla in San Sebastián We just had to relax and indulge ourselves after a week full with flights, trips and work. La Perla, located in the center of La Concha Beach in San Sebastián, Spain, is renown for its spa, sea water hot baths, and treatments with active extracts from the sea. When you enter the building, the first thing that stands out are the flags (from San Sebastian 2016 European Capital) that flank the door, welcoming. Following this, promotional screens exhibit La Perla inner space, with a sensual production calling you to make the best use of this environment. You get downstairs and find the reception. Ask there for advice and information to help you choose what suits you best (i.e. thalasso fitness circuit, massages, beauty treatments, aquafitness seasons, gym workouts, etc). We were aiming at the 2 hours Thalasso Fitness Circuit. As soon as you go through the gate the time starts counting, and it will only stop counting once you leave the locker-room again through an exit gate. We stayed in the spa approximately 90min. 2) We relaxed in the panoramic jacuzzi, with perfect views to the beach; it was stunning. 3) We went to the lower floor and passed into the sensation labyrinth. Here, we received alternating jets of hot and cold water in various parts of our body while we walked through the labyrinth. 4) We laid-down a bit on the water-beds. 5) Clearly my favourite. We stepped into the sea vapour bath. 10 minutes later, we stepped out and immediately collected ice grains from the ice fountain and spread it over our body. Yikes! 7) Last but not least, we went to the active pool and did some “exercises”, as cycling and running in the water. But what we really wanted was to repeat the water jets in the gluteos and abdominals zones (the water jets in this pool were better positioned for people of my height). After this stress-relieving program, we came out fresh and invigorated, with the desire to repeat it in the future. 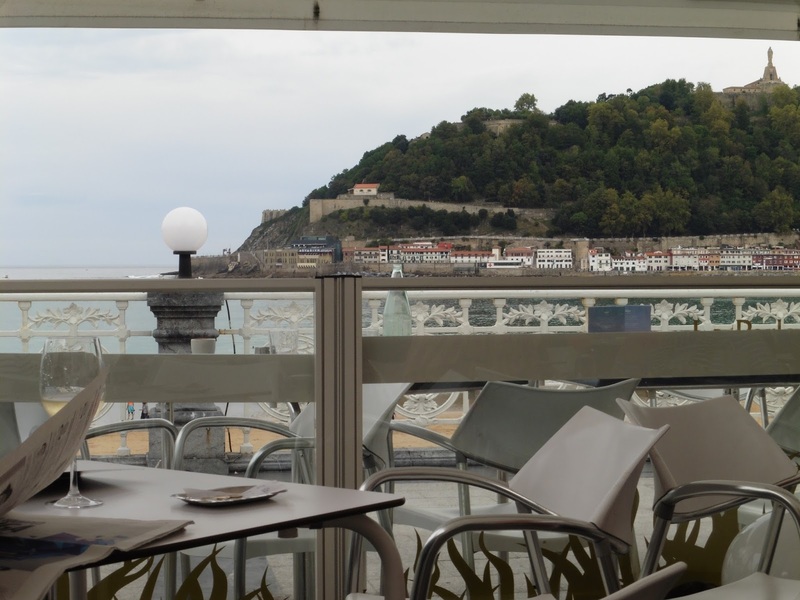 If you are in San Sebastián, or if you are planning to visit the city, take a chance in La Perla. Enjoy it on cooler days, when you can’t take full advantage of the beach. You will not regret it. No passado Domingo de manhã, eu e o meu marido visitamos o centro de talassoterapia La Perla em San Sebastián. Um momento de relax e mimo após uma semana atribulada de voos, viagens e trabalho. La Perla, localizada no centro da famosa praia da Concha de San Sebastián, Espanha, é reconhecida pelos seus banhos de água marinha e tratamentos realizados com extractos do mar. Quando se entra no espaço, a primeira coisa que salta à vista são as bandeiras ( de San Sebastián – capital europeia da cultura 2016) que adornam a porta a dar-nos as boas vindas. Seguidamente, algumas televisões promocionais mostram o interior da La Perla, aliciando-nos para entrar neste espaço de relax perfeito em San Sebastián. No piso de baixo localiza-se a receção. Aqui, encontrará funcionários que prontamente se disponibilizam para o ajudar a escolher o tratamento que se adequa a si ( entre o circuito de talassoterapia, massagens, tratamento de beleza, sessões de aquafitness, treinos no ginásio, entre outros). Nós fizemos o Circuito de Talassoterapia e Fitness, com uma duração de 2 horas. As horas começam a contar no momento em que se entra no balneário, até quando se sai. Ficamos cerca de 90 minutos no spa. 2) Relaxamos no jacuzzi panorâmico, com umas vistas fantásticas para a praia. Maravilhoso! 3) Já no piso -1, dirigimo-nos para o labirinto de sensações. Aqui, recebemos jactos alternados de água fria e quente, à medida que percorremos o mesmo. 4) Relaxamos nas camas de água. 5) Um dos meus favoritos. Após uns 10 minutos de banho turco e já fora da cabina de vapor, colectamos pedaços de gelo, que saíam constantemente de uma fonte de gelo, e espalhamos pelo nosso corpo quente. 6) Outro favorito. Após um duche de água fria do mar, entramos na sauna seca (80º C) por alguns minutos. 7) Para terminar, fizemos alguns exercícios na piscina activa, como hidro bike, e ainda aproveitamos a oportunidade para receber mais jactos nas zonas dos glúteos e abdominais (estes jactos estavam melhores posicionados para a minha altura). Depois deste programa de alívio de stress, saímos revigorados e com uma vontade enorme de voltar num futuro próximo. Se está em San Sebastián ou planeia visitar a cidade, vá à La Perla, aproveite os dias mais frios em que não pode tirar partido da praia e visite o espaço. 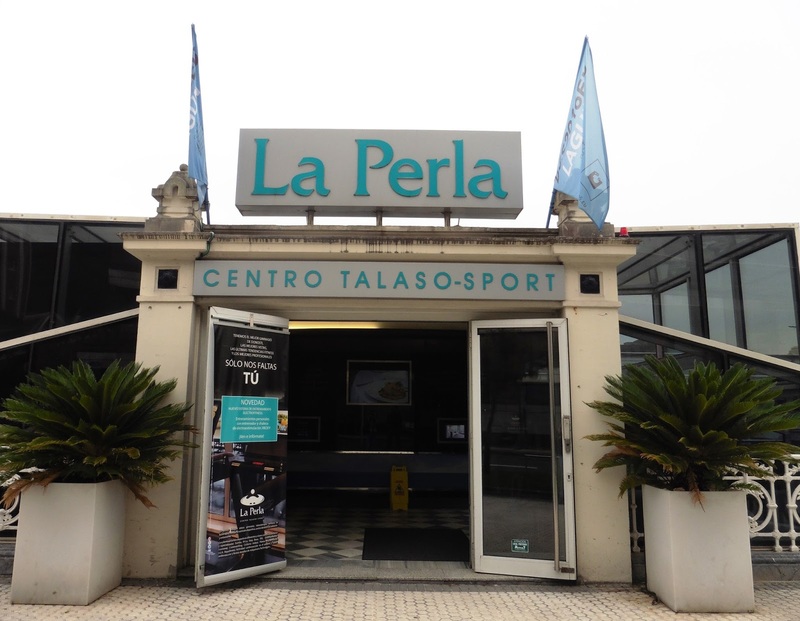 Carina visited La Perla in October 2016.Carina’s husband and Carina were guests in the thalasso fitness circuite, although this is her opinion. Carina visitou La Perla em Outubro de 2016. Carina e o marido foram convidados no circuito de fitness e talassoterapia, contudo, esta é a sua opinião. Previous Entry IS BERLIN WORTH A VISIT?